Do you remember building with LEGOs? You could follow the directions that come in the box down to the letter, or you could go off-script to create something totally your own and evolve and refine it over time. Regardless of your level of creativity, if you had one of those classic green base plates to build from, then LEGO cities were in your grasp. In many ways, a DevOps methodology aligns with the block-building process. While the tools and processes can change, a solid foundation is the backbone for fast and repeatable success. Developers and IT operations are beginning to reap the benefits: According to RightScale’s “2016 State of the Cloud report,” DevOps adoption increased to 74 percent in 2016 from 66 percent in 2015. But even though adoption is on the rise, some DevOps teams still struggle to extract the full range of benefits from a DevOps model. Why? Because they’re more concerned about the LEGOs without first having considered the base plate. DevOps requires a flexible and modular foundation, a software-defined infrastructure (SDI) built with open-source technologies to be successful. Here’s why. The goal of a DevOps approach is to speed the entire application delivery life cycle (initial development, testing, delivery to market), enabling the business to quickly respond to consumer demands (deliver new services, fix bugs, add new features, etc). However, for the DevOps teams to successfully execute this, they need a flexible and modular cloud infrastructure that easily adapts and extends to meet their needs. SDI provides easier access to resources via a self-service interface so developers can quickly get the resources they need. It also gives the DevOps team the capability to standardize services so that applications built in the development environment will easily deploy and run in the test and production environments, speeding their delivery to market. SDI also offers a flexible and modular approach that provides timely and easy access to the latest technologies, such as containers, where innovation is occurring at a rapid pace and easy integration is available via standard open protocols. SDI provides the best LEGO base plate to support your DevOps processes that improve application lifecycle management. Routine deployment and management tasks are the Achilles heel of every IT organization. The best way to improve efficiency, reduce costs and quickly respond to infrastructure demands is with automation. As a key component of an SDI, automation and orchestration of the application life cycle including deployment of hardened VM or container templates ensures faster, consistent and repeatable provisioning and configuration. Additionally, the SDI automation and monitoring tools can intelligently sense and respond to infrastructure demands, automatically optimizing and adapting the infrastructure in real time. This frees time for the team to focus on strategic initiatives versus backend tasks. 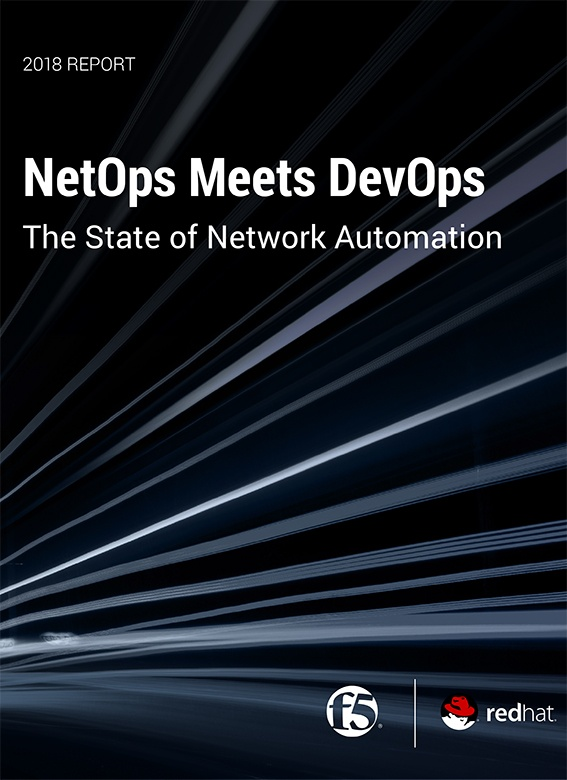 The DevOps movement is all about collaboration and constant innovation, which is made possible by having your infrastructure automate the mundane tasks and automatically respond to infrastructure demands. One challenge facing successful DevOps adoption today is lack of visibility into application delivery. As developers rely on constant innovation through a loosely coupled chain of events, understanding how each link operates is crucial to keeping the chain moving in the right direction. In the case of open source, there is no infrastructure more transparent or collaborative. The infrastructure itself is built on openness and exchange of code, leading to a natural transition to its use in a developer environment. As DevOps uses CI/CD to stay refined, so do the open-source projects that contribute to its infrastructure. Constant innovation is what keeps the infrastructure and development tools up to date, supporting the entire DevOps team. Successful DevOps adoption doesn’t solely involve changes to existing technology. It also requires a cultural shift within an organization. A software-defined infrastructure that utilizes open-source technologies is built on the same concept: growth through collaboration. Businesses aren’t committed to using a single vendor or propriety solution, giving them an expanded network of resources and tools to optimize their IT needs and business operations. DevOps is a marriage of technology and people, and an SDI environment allows that union to succeed. The world has seen many great LEGO projects over the years, both the small-scale private home projects and large-scale public exhibitions. But the common thread for their success is the base plate, allowing innovators everywhere to build LEGO masterpieces more rapidly and effectively. For DevOps professionals, a software-defined infrastructure built using open-source solutions is the base plate for success. SDI environments improve efficiency with automation, refine visibility into application performance, enable innovative and agile business models, and create stronger cultural alignment. Terri Schlosser, head of SUSE product and solution marketing, has 20 years of experience in the IT software industry. She has held roles in marketing, software development, product management and strategy in many different IT software areas including cloud, networking, storage, management and operating systems. Most recently her focus has been on open-source software defined infrastructure solutions. Follow her on Twitter.